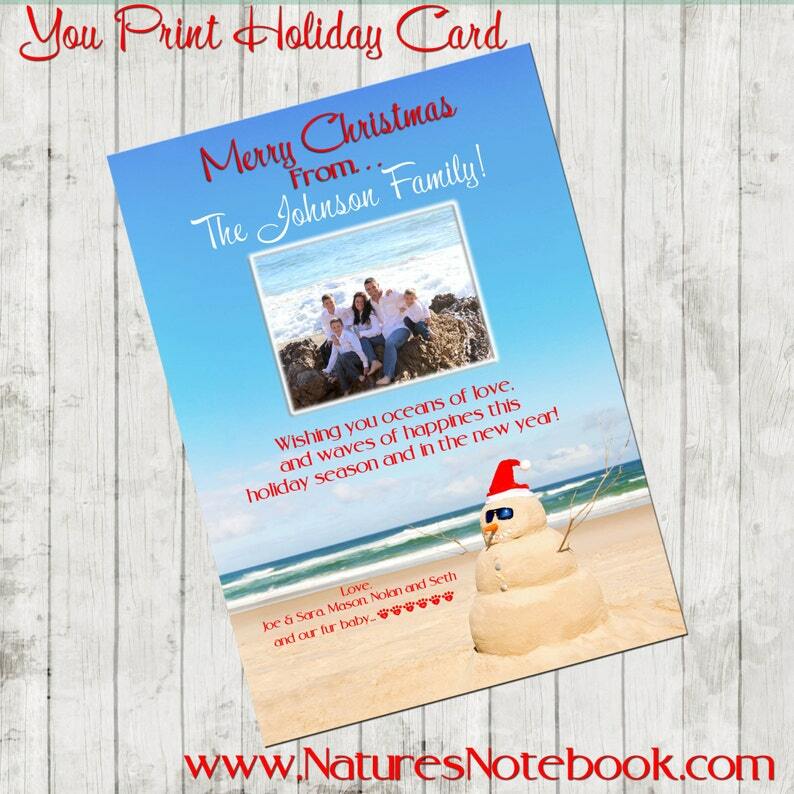 Want a fun beach Christmas Card Design? How adorable is this for your holiday or new year greeting! This snowman on the beach is perfect for a coastal holiday card! Plus, it's personalized with your family photo! HOW LONG WILL IT TAKE TO GET MY FILE? 1.) Last Name of your Family, Names of your Family, Names of your Dogs, Short message and any other wording if different from that shown. 3.) Please indicate what two colors you would like me to use for verbiage and wording! 2. Two invites per page (4x6 comes 3 per page) - This way you can Print on 8.5x11 card stock or photo paper and cut to size and then mail it out. 2.) PRINT IT YOURSELF in the comforts of your home, or 1 hour photo printers ( like Walgreens, CVS, Shutterfly, I realize Costco is a popular place to have cards printed so I have also offered their size 6x7.5) If there is a special size you do need, please let me know and we can work on it for you. 3.) If you want me to print it for you send me a convo for a quote.